If you are a homeowner who is serious about wine collecting, you must find a place where you can store and display your prized wines safely and beautifully. What if you don’t have a big room for your wine cellar project? See how a master builder converted a tiny room under the stairs into an impressive custom wine cellar in Texas. Some wine collectors are having a dilemma finding a suitable place for their prized collection. 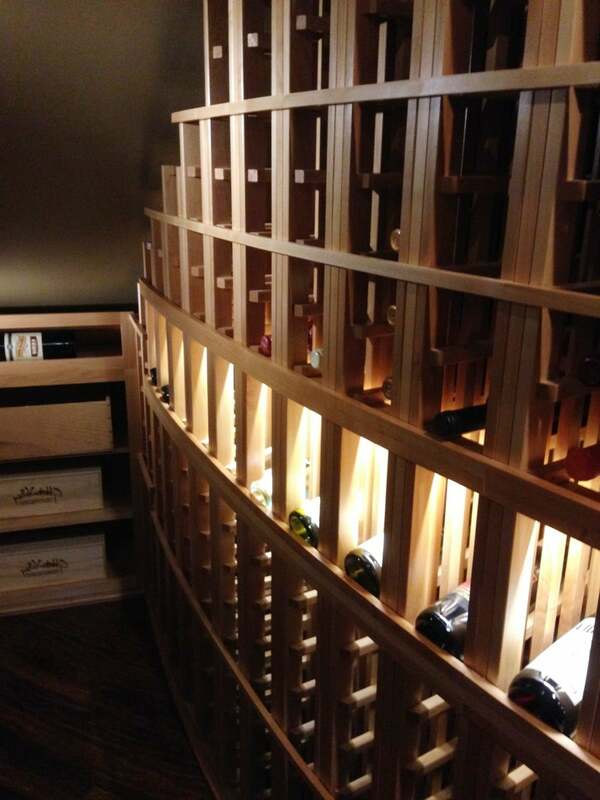 Nowadays, master builders can transform a room of any size and shape into a magnificent wine storage space. Wine Cellar Specialists, one of our partners in wine room construction, has been providing innovative storage solutions in Texas and Chicago. They are known for their creativity, quality products, and excellent service. 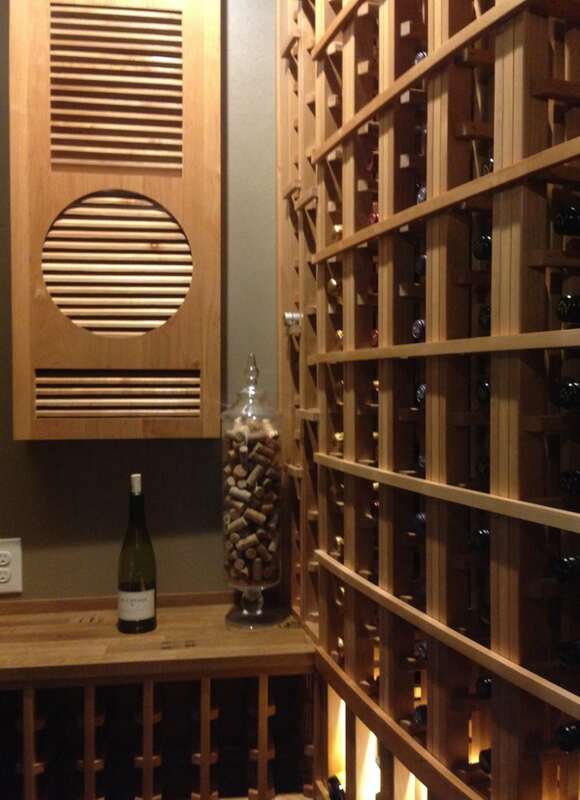 Recently, they created a perfect wine room design for a homeowner in Dallas. Challenges are a common part of building a wine storage area. With extensive experience as a wine cellar building company, Wine Cellar Specialists often converts irregular spaces into elegant wine displays. With this project, Wine Cellar Specialists had to convert a space under the staircase into a stunning home wine cellar. The room was small and had a curved shape. This did not hinder them from building a functional and attractive custom wine room. They incorporated eye-catching styles of racking into the design using high quality and gorgeous wood materials. They installed an efficient wine cellar cooling system to ensure that the perfect environment is achieved for proper wine aging. 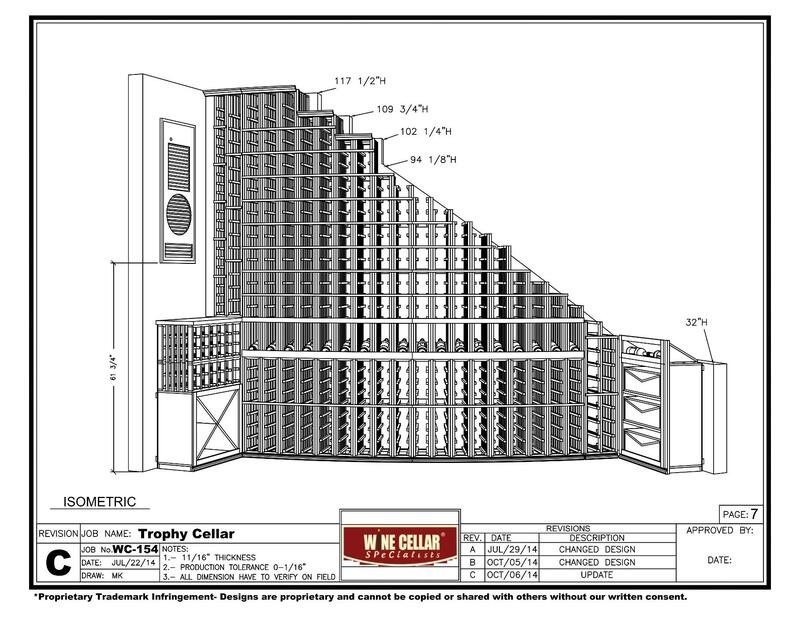 Your racking design plays a major role in creating an attention-grabbing wine display. The type of wine rack material is also important as it affects the quality and appeal of your cellar. 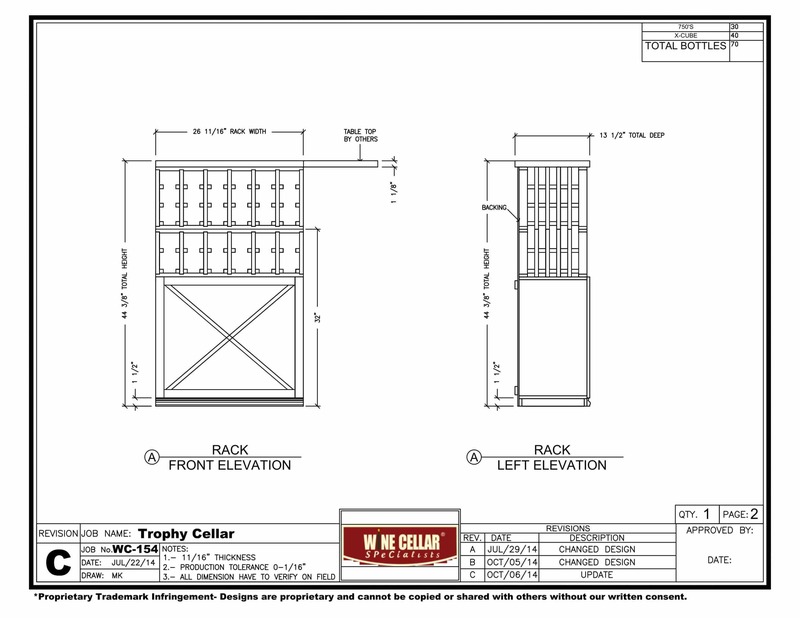 At Wine Cellar Specialists, they take a careful assessment before creating 3-dimensional drawings of their client’s wine room. This helps them determine the features that will be incorporated into the wine cellar design according to the shape and size of the room, budget, and the client’s personal preference. When you enter the wine room, the wall to your left consists of a short racking. It is 3.7 feet in height, with a solid X bin at the bottom and individual bottle storage rack above it. A tabletop was added to provide space for decanting and serving wine. It is a Cooperage style tabletop, which was made from planks taken from the outer portion of wine barrel’s head. Since no two barrels have the same markings on the head, each plank is unique. The markings indicate the original content of each barrel. The space above the left wall wine rack was intended for the cooling unit, which was concealed in a wooden grill to make it look a part of the racking. The back wall is the long and curved area of the Texas home wine cellar. Wine Cellar Specialists installed true radius wine racks with storage slots for 750 ml bottles. There is a high reveal display row that runs along the middle section. It allows the owner to showcase some of his favorite wines at a 15-degree angle. This bottle orientation will ensure that the cork remains in contact with the wine to prevent it from becoming brittle. The drying out of the cork can cause wine oxidation, resulting in unpleasant flavors in the wine. The display row is illuminated by LED ribbon lighting. LED lights are known to be safe for your wines because they have low heat emission. Too much heat exposure can alter wine’s chemical properties, resulting in spoilage. The LED lighting system also consumes less energy compared to regular bulbs, so you can expect lower electric bills. The shortest wine rack was installed on the right end wall of this Texas home wine cellar under the stairs. It has a height of 3.25 feet. The top section consists of a horizontal display rack for one magnum bottle or two standard bottles. The bottom section has three wood case solid bins for bulk storage. Wine racks manufactured from wood add a classic appeal to your wine cellar. The type of wood chosen can easily match any existing décor in your home, making it a favorite choice of wine collectors. 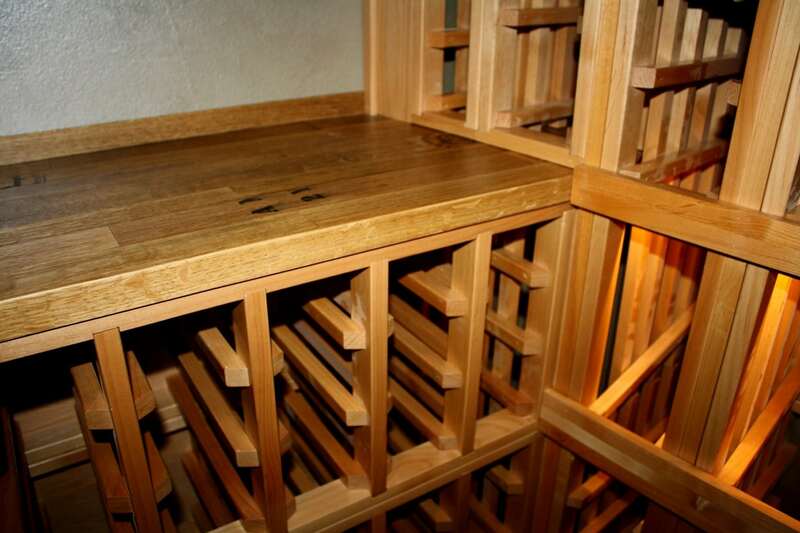 With various wood options available, it is best to seek the help of a wine storage expert, like Wine Cellar Specialists. 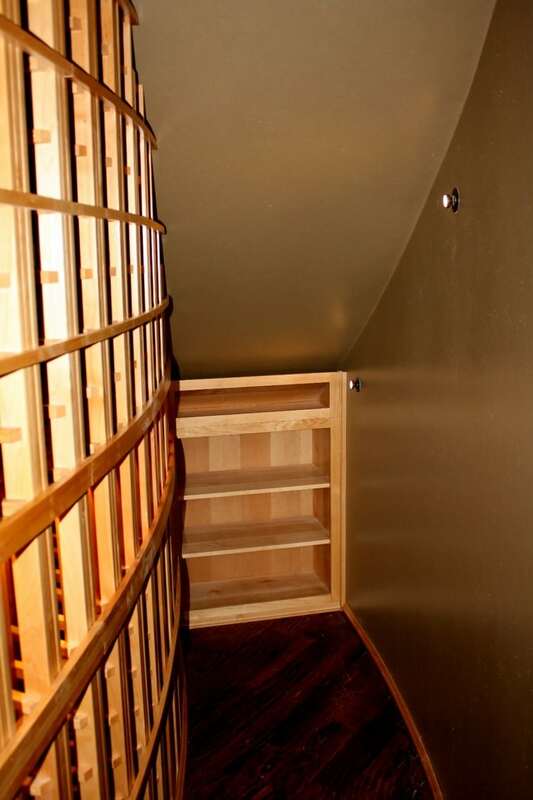 On this project, they used Knotty Alder to add a rustic touch to the wine cellar. This type of wood exhibits small knots and attractive burl clusters that add character to the storage racks. Additionally, Knotty Alder is durable, versatile, and highly resistant to rot. The client requested the wooden wine racks to be applied with lacquer for a lustrous finish. You can’t just use a home air conditioner to cool your wine room. It is not designed to create the optimum conditions needed by wine to preserve its complex taste and aroma. To prevent wine deterioration, it needs to be stored in a room where the temperature is between 55-65 degrees Fahrenheit and a humidity level between 60-70 percent. This can be achieved only if an efficient wine refrigeration system is installed in your wine cellar. A ductless split wine cooling unit from US Cellar Systems was used for this project. With this type of cooling equipment, the condenser is placed outdoors and must be covered with a housing to protect it from weather conditions. This manufacturer has been providing reliable cooling solutions both for residential and commercial applications. See more types and brands of refrigeration systems offered by Wine Cellar Specialists. With expertise and creativity, Wine Cellar Specialists Texas can build a stunning wine display area for your collection, even in a small space. What are you waiting for? Contact them today at +1 (972) 454-0480.